We are the leader in designing custom packaging for valuable OEM equipment with fabrics, films, and other delicate parts. We design packaging solutions specifically catered to the needs of our customers’ delicate equipment and test our designs to meet necessary ASTM packaging standards in our ISTA-certified package testing lab. We use wood, steel, and hybrid materials to deliver maximum value over the intended lifetime for the packaging—from expendable, one use packaging to returnable packaging which can be used multiple times. Specialty fabrics, films and paper products often require custom packaging solutions for shipping—especially if they’re heavy. 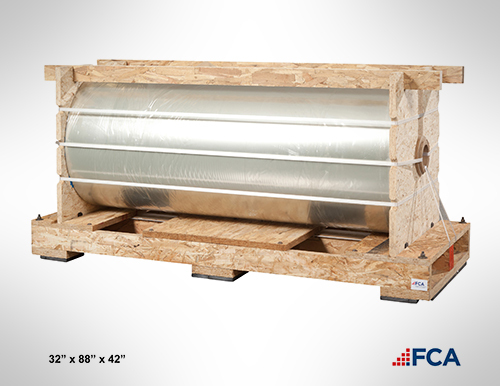 This custom skid holds this extremely heavy and high value film and has been customized around the contours of the equipment, keeping it secure during shipping. 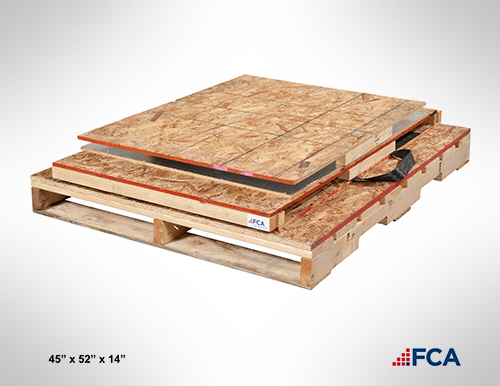 We can customize boxes of every size, strength, and application to protect heavy industrial equipment of virtually any size or shape. We customize the inside of our crates around the contours of the equipment and engineer the outside of each crate to protect the equipment under all foreseeable situations in transit. 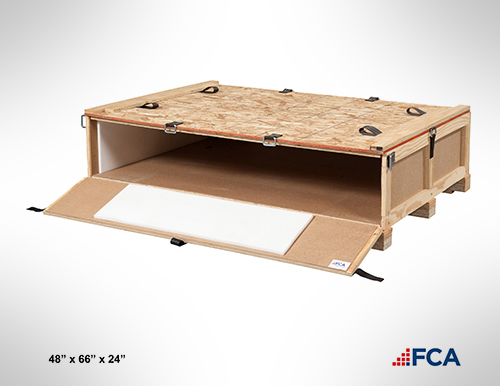 Our custom crates and boxes come in all shapes and sizes. 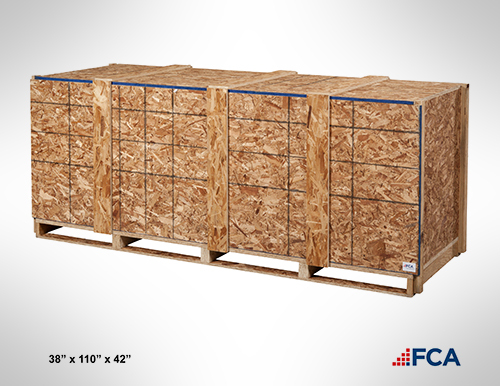 Regardless, our crates are customized to protect delicate and unevenly weighted loads during transit. We also custom engineer collapsible crates and utility boxes. We are the leader in collapsible boxes and packaging for industrial equipment. Our collapsible packaging lowers packaging costs by being reusable, but also lower freight and storage costs while saving time and effort. 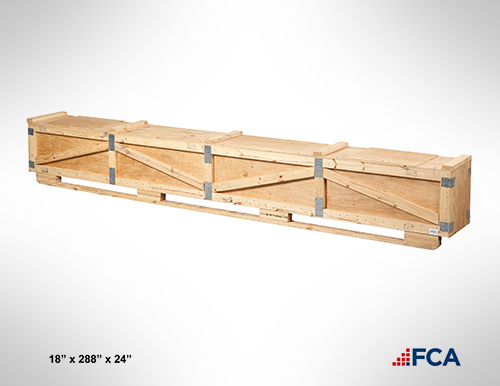 These boxes require NO tools or brackets, and are ready to set up in less than 5 seconds!